The Apple CEO – who formerly had pancreatic cancer – says his board has given him some time off for medical reasons. APPLE chief executive Steve Jobs has sparked new speculation about his health, after announcing that he would be taking time out of the company for health reasons. Jobs said, however, that he would remain as chief executive of the company; during his absence, chief operating officer Tim Cook will take care of the day-to-day running of the company. Jobs (55) did not indicate how long he expected to be absent for, though he wrote that he would “continue as CEO and be involved in major strategic decisions for the company”. His absence may continue for some time, however, with the hint that Cook and Apple’s other senior managers would be “executing the exciting plans we have in place for 2011″. In a similar message in 2004, Jobs told his employees that he had been diagnosed with a non-aggressive type of pancreatic cancer; in July of that year he had a tumour removed, and is not thought to have needed chemotherapy or radiation therapy. 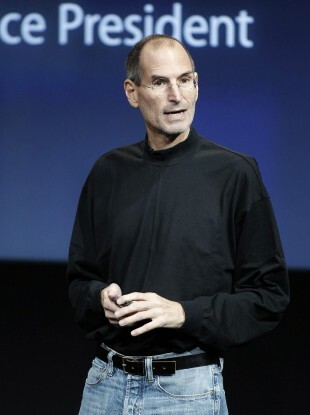 In 2009, meanwhile, Apple said that Jobs had been suffering from a “hormone imbalance”, and took six months out of work, eventually undergoing a liver transplant in April of that year. On both occasions, as now, Tim Cook stepped in as Acting CEO. Apple shares listed on the Frankfurt stock exchange have plummeted on the news; there is no trading in the US today, to mark Martin Luther King Day. Email “Jobs to take medical leave of absence from Apple”. Feedback on “Jobs to take medical leave of absence from Apple”.